We are a leading Manufacturer of acrylic rotameter, acrylic water rotameter, alcohol rotameter, glass tube rotameter, purge rotameter with dp regulator and diesel oil flowmeter from Vadodara, India. Accessories High & low flow alarms and 4-20 mA output on your request. "KABIR" make Acrylic Rotameter are mainly used for Water / Salt Water, Air, Nitrogen, Hydrogen, Natural Gas application. These are integrally machined cut in acrylic body from imported transparent acrylic blocks sheets. These are also suited with flanged or screwed connections and several options of material for the wetted parts. All our products are developed as per industry norms, using premium raw material and latest technology. Metering Tube Solid Acrylic Block.Body Imported transparent acrylic block. 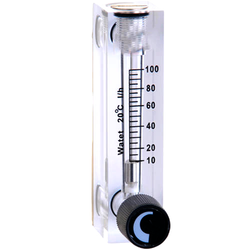 We are considered to be one of the most professional manufacturers, exporters and suppliers of Alcohol Rotameter. These Rota Meters are known for their features such as compact design, easy installation etc. Our offered range of Rota Meter is used for monitoring flow of de-mineralized water, raw water, acids, salts, organic solvent and petroleum products. 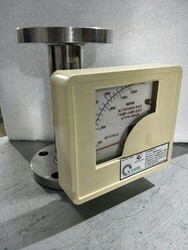 Exported overseas, Metal Tube Rota Meters available at market leading prices. We ensure complete protection of these Metal Tube Rota Meters for their safe delivery at client's premises. 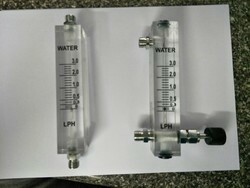 We offer our stemmed clients an excellent quality assortment of Glass Tube Rotameter which is useful for measuring oil, organic chemicals, flow of air & common gases, and the offered rotameter is manufactured with high grade raw material and contemporary technology in synchronization with the set standards. KABIR Make Purge Rotameter with DP regulator, which finds application for measurement of small flows of liquids, air and gases. Owing to precise operations and reliability, the rotameter is ideal for corrosive plants. These are meretriciously tested by the quality associates with the help of requisite tools and techniques before delivering to the clients. Specifications: Used in applications where small flows of liquids, air and gases (Transparent) are to measured accurately. Line Size 1/2" - 4"
"KABIR" MAKE 2 wire turbine flow transmitter specially used for various industrial application. The flowing media engages a vaned rotor causing it to rotate at an angular velocity proportional to flow rate. Turbine Flow meter is used to measure the flow of water. It can be used to measure the flow of diesel. It can be used to measure the flow of petrol & vegetable oil. It can be used to measure the flow of chemical (S.S. with Teflon coating) It can be used for milk plant. 2 Wire System, Simple & Cost Effective Construction. Provides Wide Flow Ranges. Local Display As 8 X 1 LCD. Outstanding Accuracy For Clean & Low Viscosity Application. Operates Over Wide Ranges Of Temperature & Pressure. Easy Maintenance. Flame-proof, IP-65/IP-66,IIA,IIB CMRI Certified Housing. Leveraging on the skills of our qualified professionals, we manufacture, export and supply an extensive array of Metal Tube Rotameter. 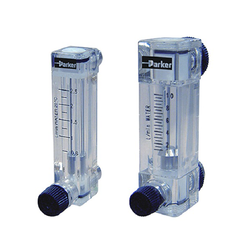 This rotameter is offers perfect safety and easy maintenance & used for monitoring flow of Demineralized water. We ensure our customers that our rotameter is quality tested on predefined parameters. 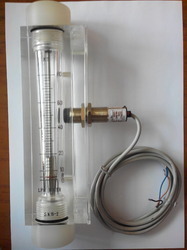 Additionally, this rotameter is provided at highly competitive price. 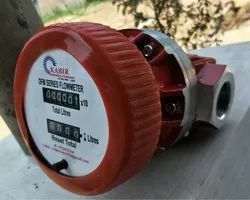 Kabir Make Purge Rotameter with DP Regulator, which finds application for measurement of small flows of liquids, air and gases. Owing to precise operations and reliability, the rotameter is ideal for corrosive plants. These are meretriciously tested by the quality associates with the help of requisite tools and techniques before delivering to the client. Model GA - 10 Roatameter dispenses with screws and hence ideal for very corrosive plants. Other Specifications same as LGPR Model. 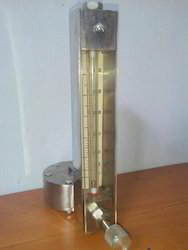 KABIR Make DP regulator Purge Rotameter which finds application for measurement of small flows of liquids, air and gases. Owing to precise operations and reliability, the rotameter is ideal for corrosive plants. These are meretriciously tested by the quality associates with the help of requisite tools and techniques before delivering to the clients. 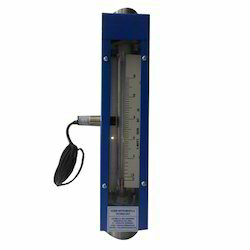 Used in applications where small flows of liquids, air and gases (Transparent) are to measured accurately. Enclosure IP 55 or IP 65 on request. Any other desired material subject to its Availability. Float: SS 316, PTFE and other on request. Packing: Neoprene, PTFE, Silicon, Viton. Frame & Cover: MS, Optionally SS. 93o C for Liquid services. 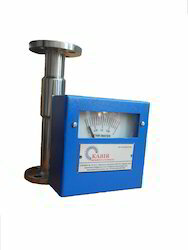 "KABIR" MAKE Light in weight and easy to handle, the Acrylic Body Rotameter, which we offer, is the best. 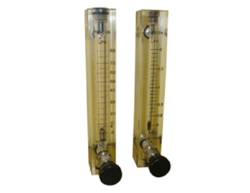 We are among the reliable Manufacturer and Suppliers of Acrylic Body Rotameter in Vadodara. We have supplied these Meters to Various industries in India and Abroad. "KABIR" MAKE Light in weight and easy to handle, the Acrylic Rotameter, which we offer, is the best. We are among the reliable Manufacturer and Suppliers of Acrylic Body Rotameter in New Delhi. We have supplied these Meters to Various industries in India and Abroad. 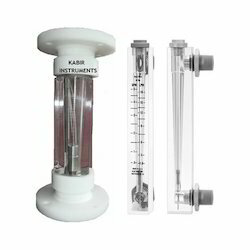 KABIR MAKE premium quality Glass Tube Rotameter. We carry out the manufacturing process of these Rota Meter by making use of the supreme quality steel under the supervision of professional. 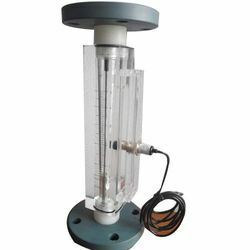 This equipment is made of qualitative range of boro silicate glass using the latest technology.We are a quality focused organization engaged in offering a broad assembly of Rotameter or Glass tube rotameter, which is basically a variable area flow meter. 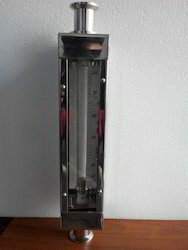 Glass Tube Rota Meter, which is basically a variable area flow meter. Kabir make Glass Tube Rotameter with Flow Sensor and as per customize. “KABIR” make Metal Tube Rota meter is a variable area flow meter Model KIT series is suitable for gas and liquid flow measurement even under high pressure and high temperature. Standard flow tube is in SS 316 and for corrosive applications the metal tube, orifice and float can be lined with PTFE. 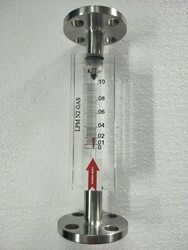 KIT series Metal Tube Rotameter comes with optional limit switches and 4-20ma output. 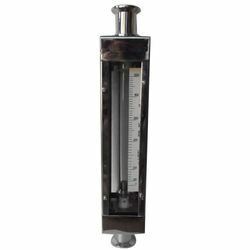 Kabir make ourselves as the prominent manufacturers, exporters and suppliers of Rotameter with Alarm. Suitable for flow applications, the offered flow indicator is manufactured with high grade raw material and contemporary technology in synchronization with the set standards. Our range of flow indicators is high on demand among patrons due to its embellished features. 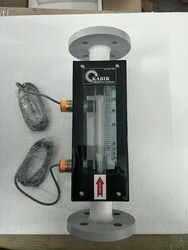 Kabir make Water Glass Tube Rotameter pharmaceutical industreis. 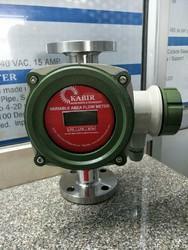 KABIR Make Purge Rotameter, which finds application for measurement of small flows of liquids, air and gases. Owing to precise operations and reliability, the rotameter is ideal for corrosive plants. These are meretriciously tested by the quality associates with the help of requisite tools and techniques before delivering to the clients. Kabir make Purge Acrylic Rotameter as per customize. 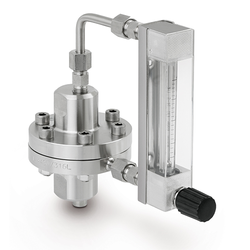 Looking for Flow Measuring Rotameter ?